It's Beauty and the Beast comic week over here! I was on ebay seeing if I could find some issues of the Disney BATB comic books I just mentioned for cheap when I discovered the X-Men series of the same name. I had mentioned that this existed years ago and didn't think I'd ever come across it, but you can get the full series of four issues from multiple sellers, for not that expensive! So I splurged, and now I have a new addition to my Beauty and the Beast collection! I was never into comic books growing up, but X-Men were my favorites in the superhero franchise, and eventually I decided I wanted to know a little more about them than what I had learned from Hugh Jackman movies or X-Men Evolution, and I bought Essential X-Men: Volume 1. Although the style of classic comics is often cheesy and/or over-dramatic, I enjoyed getting to learn some of the original histories of my favorite characters. It can be hard to follow the style of comics if you're not used to them, at first, but it gets easier. One major theme of the X-Men is how society treats the mutants who are different than them, but also how the different mutants respond to rejection. It's a theme that really applies to our modern culture in multiple ways, so in a way they're some of the most relevant superheroes. 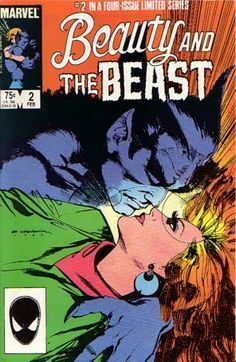 Plus, for BATB fans, there are several characters that can be seen as Beast characters-Nightcrawler, Mystique (as a female Beast in her natural form), Wolverine (sort of), and of course, Beast himself-or Hank McCoy. 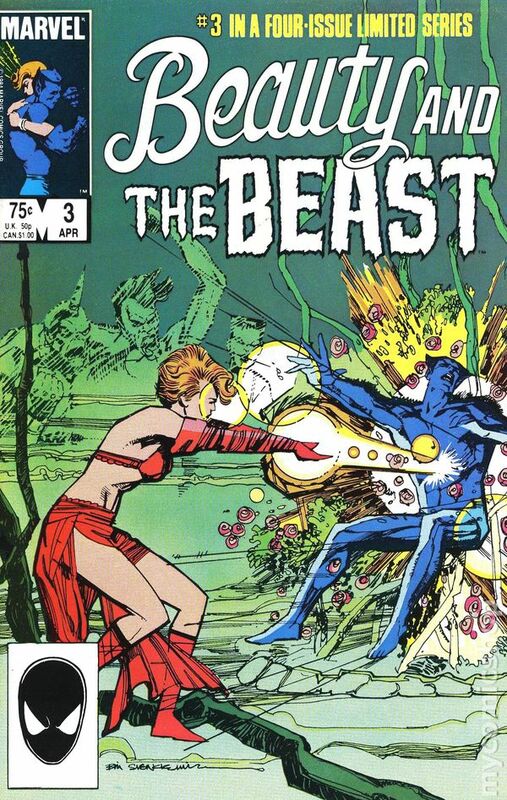 The storyline itself follows Beast and his relationship with Dazzler, a former singing star who just revealed herself to be a mutant with the power to emit light. She has been rejected by her fans and the public and must find her place among mutants now. I enjoyed the story-it was a good read for a day I was feeling a bit under the weather, but I honestly liked it as a unique retelling of Beauty and the Beast. Unlike just about every other BATB story, the emphasis here is not on the romance itself, but on the action and unveiling of surprise bad guys and good guys. Which is kind of nice-many BATB stories suffer because the ONLY plot is the romance, and it can feel one dimensional and the characters underdeveloped. Plus, in most BATB stories, the plot follows the meeting and ends at the "finally getting together" part. In this, without giving too much away, Beast and Dazzler are together by Issue 2, and the rest focuses on their struggles as a mutant couple, as well as the other storyline. Of course, I don't mind the traditional drawn out romance between an insecure Beast and the beautiful girl who finally falls in love with him-if not it wouldn't be my favorite fairy tale-but it is kind of refreshing. 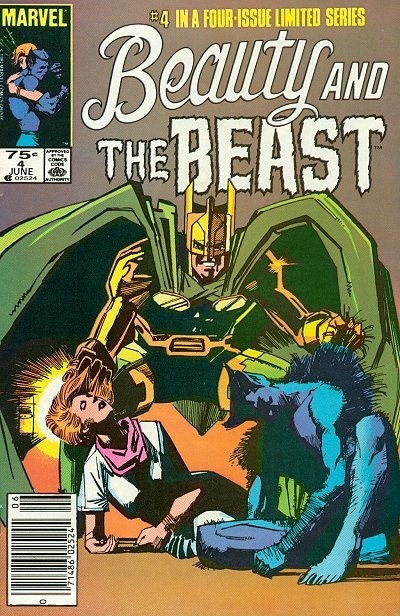 Beast doesn't really struggle with insecurity, but runs around L.A. without caring what people think of him, and it's Dazzler who's learning to deal with rejection. Although the story doesn't follow the traditional French fairy tale too closely-no roses thrown in or father-daughter relationships, they did make an obvious reference to the Cocteau film at one point. I was impressed with some of the themes tackled in just this storyline-issues that are complex, especially for the kids and preteens you typically picture reading comic books. Although, it seems other fans were not as impressed with this story, from reviews I've read. Some point out Dazzler's penchant for hardly wearing any clothes (or if she starts out wearing a longer skirt it gets ripped off, etc.) which annoyed me too but I thought was pretty typical of the genre. Others thought the ending was ridiculous, which again, seemed to be in line with the superhero/comic book world as I understand it. But again, I'm not an expert on comics. Would love to hear what you think, if you've read it! I actually haven't read this miniseries. I'm glad to hear you probably liked it seeing as the title "Beauty and the Beast" was probably used for familiarity's sake more than anything. Though, if we are comparing them, the use of Alison Blaire (Dazzler) and Hank McCoy (Beast) does kind of flip the script. I can easily see Dazzler as the more insecure one seeing as she was a character that wasn't designed to be a mutant or superhero first but as an aspiring singer who found herself drawn into superheroic situations. On the other hand, Beast is a character who tends to be very open about his mutant nature and is largely accepted for it. A lot of this comes from the celebrity status he gained from being a member of the Avengers back in the '70s. Maybe I'll see if I can pick this one up the next time I'm at the comic shop. That's partly why I liked it, because it's such a fresh and unique take on BATB, even though it isn't really based on the fairy tale itself, just the concept. I would love to hear what you think of it eventually, I was thinking of you because you're the only fairy tale blogger I'm aware of that also seems to be knowledgeable about the comic book world! Spider-Man is my favorite comic book (at least everything before "One More Day," and a few minor things before that story. I like to ignore the stuff I don't like in those things), but X-men isn't too bad either. I did not know about the X-men Beauty and the Beast. 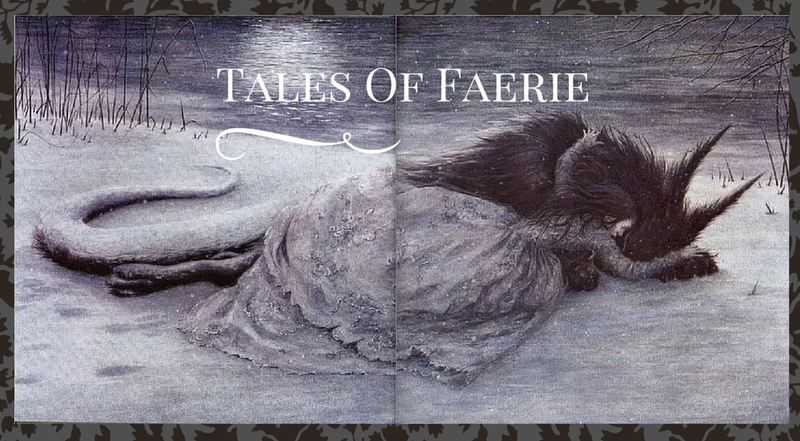 And, I finally got a new post on my blog after so long (not directly related to fairy tales this time, but it does have something to do with it). Back onto topic: Superhero comics and fairy tales are closer to each other than one might think, both use character archetypes totell a story of wish fullfilmeent (and often outright power fantasies)where the good guy (or the morally ambiguous slightly-better guy - both genres have their antiheroes) triumphs over evil. In modern media things get more complicated and modern comic books or fairytale adaptations show us the more nuanced sides of these familiar archetypes, perhaps the hero isn't perfect and the villain is not wholly evil, but the main draw stays the same. Which is probably the reason why a mashup like this works so well. Whether the Beauty and the Beast dance in a ballroom or beat up bad guys the - forgive the Disney reference - tale as old as time stays the same, even if the details change. You can also connect them to the "mythological school". It's a a school of thought that claims folk and fairy tales are the remnants of ancient mythology that has since been secularized. And superhero comics have riffed on mythological archetypes since the very beginning. Who's the Bluebird in Sleeping Beauty?